Teresa Dillon is an artist and researcher who writes, performs and tells stories about technology, sound, urban governance and civic life. Drawing on personal accounts and observations, archival material and divergent histories of infrastructure, her performance-based practice symbolically and critically examines the techno-civic systems that affect and shape everyday life. Recent works include MTCD-A Visual Anthology of My Machine Life (2017), Are You Still Watching (2017) and Canary Songs (2016). 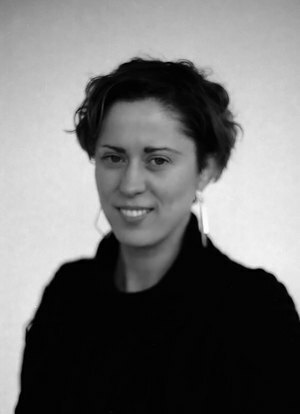 As an academic and creative producer, Teresa’s research has contributed to policy thinking on open data, and she has written on the role of music and open source within art and education; CCTV surveillance histories and their associated impact on urban wildlife; sonic art practices, noise and the electromagnetic spectrum; infrastructural literacy; repair cultures and environmental sensing. Along with Kathy Hinde, she curated OFFLOAD: Systems for Survival (2007), which examined artistic and cultural responses to ecological tipping points and environmental crashes. In 2012 she was invited as lead curator for HACK-THE-CITY at the Science Gallery, Dublin and in 2016 curated the Anxious to Make stream at transmediale, Berlin. Since 2013 she has been leading on urbanknights.org, a programme of talks and workshops that provoke and promote practical approaches to urban governance, city living and civic wellbeing. Teresa’s work has been commissioned and exhibited widely in Europe and reviewed in Nature Magazine, Wire, Creators and BBC online. She currently holds the post of Professor of City Futures at the School of Art and Design, UWE Bristol. Teresa is the Principle Investigator on Repair Acts.